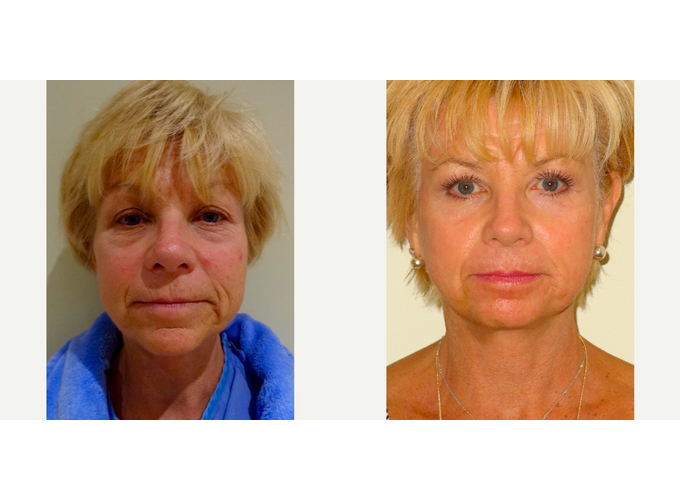 55-64 year old woman treated with Laser Treatment. Laser resurfacing and IPL to face. Pro fractional to neck.